An enlarged edition, translated from the Paris edition of 1806. 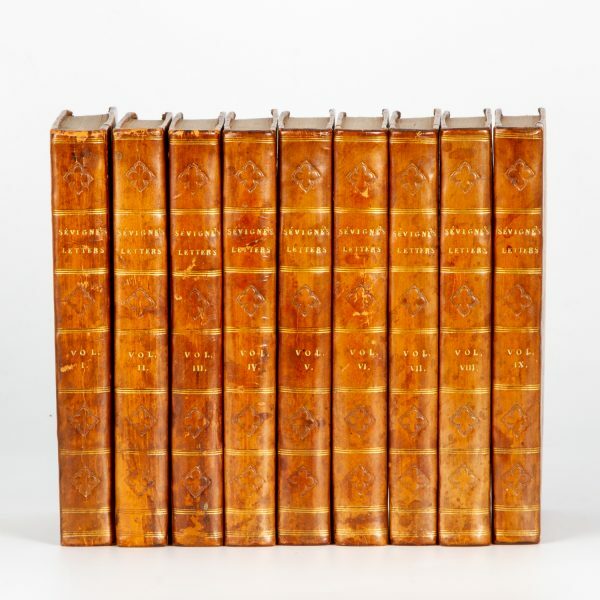 London : J. Walker et alia, 1811. 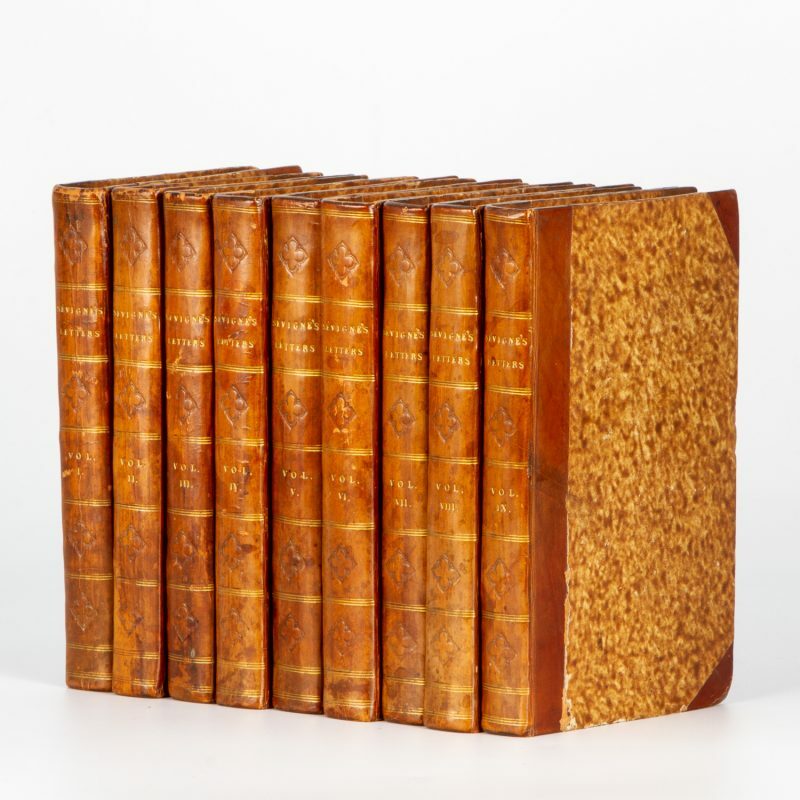 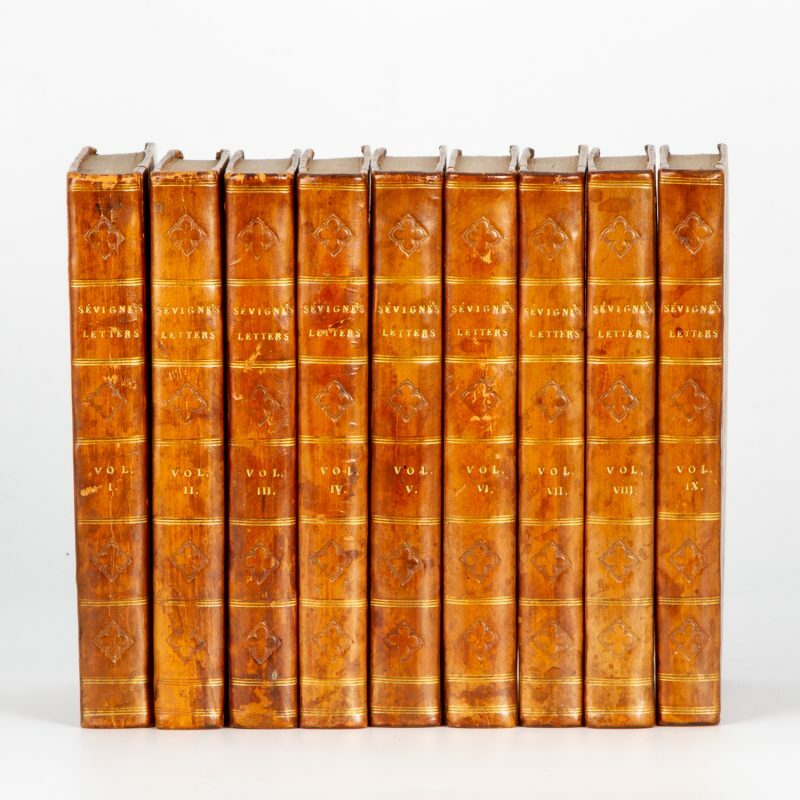 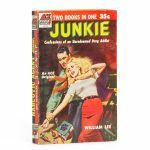 Nine volumes (complete), half-calf over marbled boards, portrait frontispiece, pale foxing, a very good set. 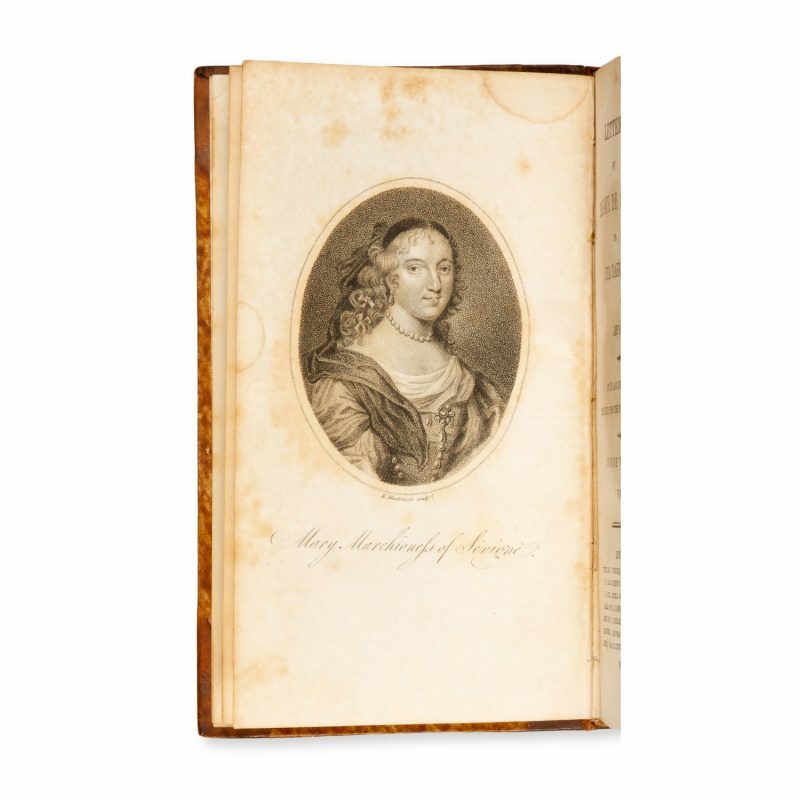 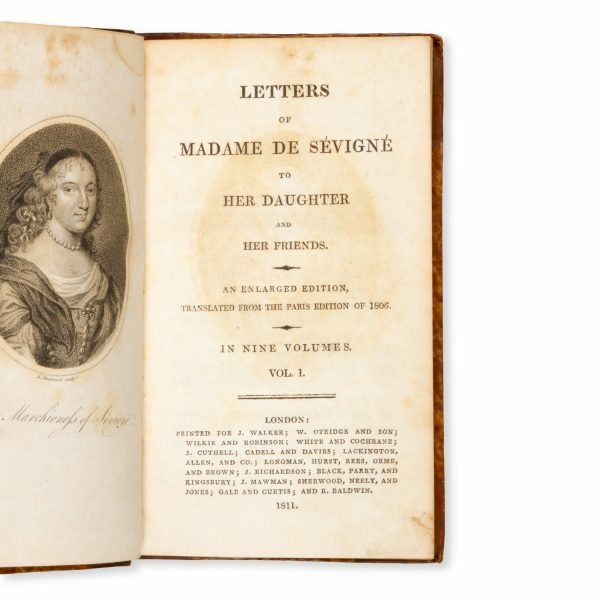 English translation of a French edition of Madame de Sevigne’s letters, written to her daughter in the seventeenth century, with sharp wit and insight regarding court intrigue and French aristocratic society.